Below is a comprehensive list of hotels in Millwall. Use the sort links to refine your search or to find featured accommodation in Millwall. Many of our hotels in Millwall feature no booking fees and best price guarantee when booked through the Pictures of England website. To list your hotel in Millwall, click here. 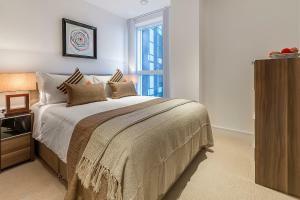 Smart City Apartments Canary Wharf is set in London, 1.6 km from O2 Arena. Greenwich is 2.5 km away. Free WiFi is featured . The accommodation is fit.. 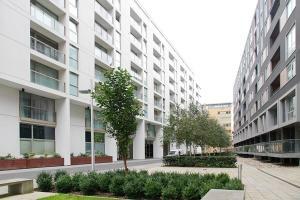 Located in Isle of Dogs area of central London, Denison House is a 5-minute walk from South Quay Light Rail Station. Spectacular views of the city are..
Nestled in the famous loop of the Thames, these contemporary apartments are 10 minutes’ walk from Canary Wharf Underground Station. The rooms are el.. Situated in London, this apartment features a balcony with garden views. The apartment is 1.6 km from O2 Arena. Free WiFi is available throughout the .. 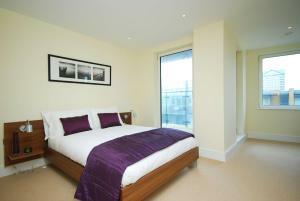 Located in London, Orchard Serviced Apartments - Canary Wharf offers river and city views and free WiFi. 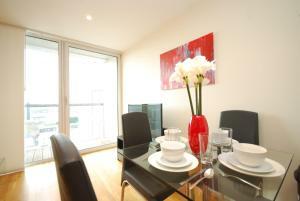 The property is a 7-minute walk to South Quay..
Set in London, Lincoln Plaza Apartments is 1.6 km from O2 Arena. Greenwich is 2.5 km away. Free WiFi is available . All units have a flat-screen TV. .. 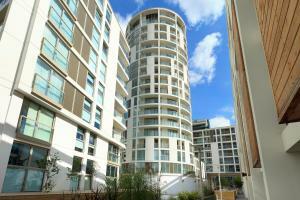 Located 1.5 km from O2 Arena in London, this apartment features free WiFi and a balcony with city views. 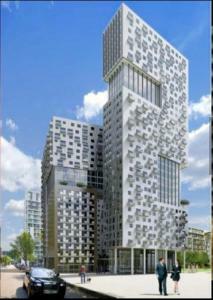 The unit is 2.5 km from Greenwich. There is .. 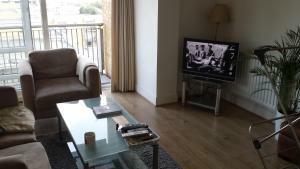 Located 1.6 km from O2 Arena in London, this apartment features free WiFi. 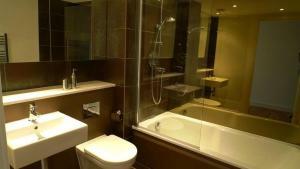 Canary Wharf Penthouse boasts views of the river and is 2.6 km from Greenwi.. Situated in London, this air-conditioned apartment features a terrace. The unit is 1.6 km from O2 Arena. Free WiFi is available throughout the propert.. 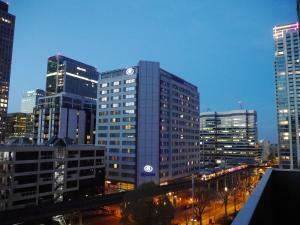 Featuring free WiFi, HSH Canary London is situated in London, 1.6 km from O2 Arena. Greenwich is 2.6 km away. All units include a flat-screen TV. The.. Featuring free WiFi throughout the property, Lincoln Plaza is located in London, 1.5 km from O2 Arena. Greenwich is 2.5 km from the property. The acc.. 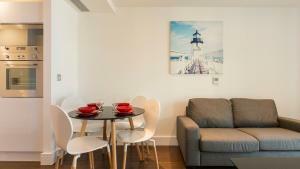 Located just a 15-minute walk from London's iconic Canary Wharf, Zen Apartments - Canary Wharf offers self-catering accommodation with free WiFi acces.. Featuring free WiFi, Lincoln Plaza offers accommodation in London. O2 Arena is 1.5 km away. The accommodation features a seating area with a flat-scr.. Located in the heart of Canary Wharf and its surrounding business district, Vivid Apartments Canary Wharf is a one-bedroom apartment. Free Wi-Fi is a.. Located in London, this apartment features free WiFi and a balcony. 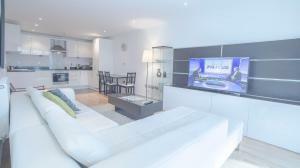 The apartment is 1.5 km from O2 Arena. Free private parking is available on site. .. 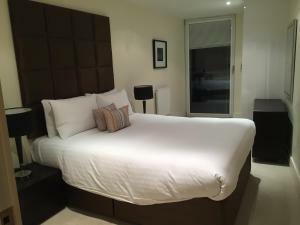 Located in London, Ascot Deluxe Apartments - Canary Wharf offers a self-catering accommodation with free WiFi access throughout and private secure par.. 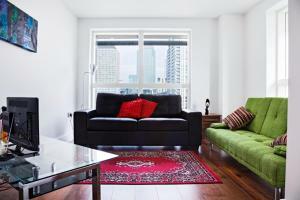 Featuring air conditioning, SKY LIVING APARTMENTS - CANARY WHARF offers accommodation in London. O2 Arena is 1.6 km away. Free WiFi is offered . 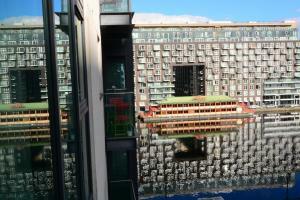 All ..
Canary Wharf Apartments is a self-catering accommodation located in London. Free Wi Fi access is available. The property is a 20-minute walk from Cana..